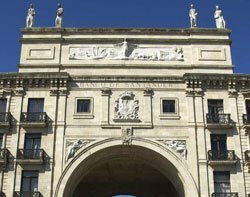 As Banco Santander's plan to integrate its banking acquisitions enters a new phase with the re-branding of its outlets under the Santander name, the company's decision to put IT at the core of the strategy will reap benefits. The Spanish bank has bought several UK businesses over the past few years and it was clear from the beginning that IT was critical to its strategy. The bank last week started re-branding its high street outlets. Customers of Abbey, Bradford & Bingley and eventually Alliance & Leicester will get the same Santander service. This has been made possible by standardising IT across all outlets. The bank's business plan was to move all of its acquisitions to its Partenon core banking system to cut costs. The bank's long-term commitment to the project is critical to its success. As well as rationalising IT, the bank says Partenon creates cross-selling opportunities, helps improve customer satisfaction and boosts operational performance. The platform uses a single database so all of a customer's relationships with the bank are automatically linked through a single view. "We are tapping into a global platform and achieving greater efficiencies as we require less back-office support and administration," says Abbey, Santander's largest acquisition. "As we progress with these changes, customers will benefit from a higher level of information, more flexibility and easier and more secure ways of dealing with us." Partenon was a differentiator during takeover negotiations with Abbey in 2004 because of performance improvements it offered the UK bank as well as cost savings. It replaced 30-year-old legacy systems. A project of this magnitude takes a long time and costs a lot before it pays back, so unwavering backing from senior management is essential. Jean Louis Bravard, director at sourcing consultancy Burnt Oak Partners and former head of global financial services at EDS, says Santander made it clear from the start that it was totally committed to using Partenon to make its acquisition strategy work. "Banco Santander was very public about Partenon when it acquired Abbey. They are very proud about it," says Bravard. The commitment of the Banco Santander board ensured the bank kept the strategy on track to ensure benefits later, he says. "While Santander only owned Abbey I think the business case was not great, but now, with more than one bank in its portfolio, it makes sense to integrate UK assets. Using Partenon is logical as it will permit not just integration within the UK but also between the UK and the rest of the Santander network," he says. In contrast, Bravard says many businesses will not attempt a project that does not deliver benefits quickly. This means they can miss out on future benefits. "Unless there is a compelling event it is very difficult to have a business case," he says. Santander's standardisation project has not been plain sailing, with some customer service problems during the four-year project to integrate Abbey. It has also had to battle with the global financial crisis. But the bank's commitment has remained intact and it has learned from past problems to make further integrations easier. Peter Redshaw, analyst at Gartner, says banks that have began core platform replacements have stuck with them, despite pressure to cut budgets. "This level of commitment is not unique in banking because quite a few banks have continued on core system replacement projects despite the credit crunch," he says. HSBC is another bank that has been rewarded for its long-term commitment to a strategic IT project. The HSBC One project, which replaces 55 separate core banking systems, 24 credit card systems, 41 internet banking systems and 40 desktop standards, has cost billions. But the new platform is already saving more than it costs halfway through the project. Bravard says if Partenon gives Santander a single view of customers in real time it will have a massive advantage. "People in the UK don't really know Santander, but after the re-brand people will get used to it and Santander could really challenge Barclays and HSBC," he says. The success of Santander's massive project to standardise global IT is shiny example of how unfaltering commitment to strategic IT projects is essential if they are to be completed and the benefits reaped. 2008 acquired Bradford & Bingley's savings business for £612m. 2008 acquired Alliance & Leicester for £1.3bn and expects to make efficiency savings of between £30m and £50m. The platform was developed in-house and runs on IBM Banksphere middleware. It provides the bank with a single view of each customer across various business lines, such as mortgage, credit card and insurance. Because all of a customer's relationships with the banks are automatically linked, and can be viewed immediately by bank employees, it is easier to cross-sell services to customers. Santander has moved Abbey's 10 million savings accounts, four million current accounts and eight million card accounts to the Partenon banking platform. The bank has renewed its branch communications network by building more than 45 portals for 26,000 employees and third-party organisations, and has also created a back-up datacentre. Payment systems have been moved to Partenon and back-office processing engines have been integrated with the global Partenon infrastructure.